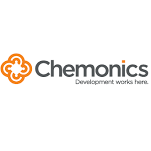 Chemonics seeks a monitoring, evaluation, and learning (MEL) director for the anticipated five-year USAID-funded Tanzania Vector Control Activity. This activity will aim to maintain high-level coverage and use of long-lasting insecticide-treated mosquito nets (ITNs) for malaria prevention. We are looking for individuals who have a passion for making a difference in the lives of people around the world.